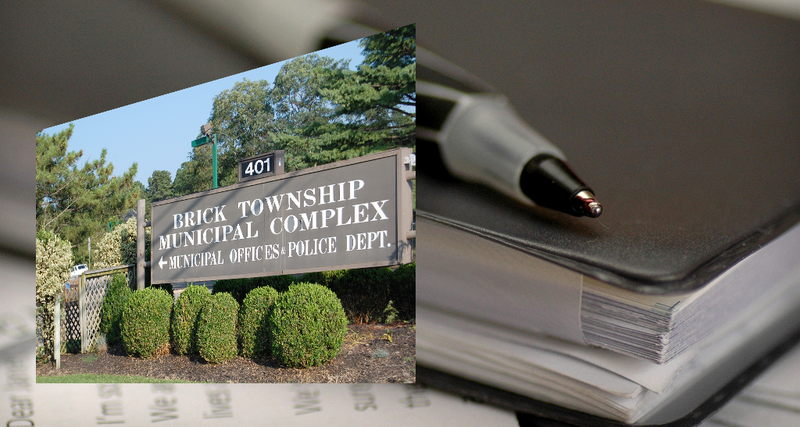 As township officials tally some of the statistics that make up life in Brick – and the municipal budget that makes it all happen – there are two check marks in the “positive” column to end the year. Recycling pays off in two ways. Though the per-ton reimbursement for raw materials has been down in recent years (largely due to the slow down in the Chinese economy, county officials have said) it is still a valuable influx of cash to the township coffers. The biggest savings, however, comes in the form of bills township taxpayers never have to pay: per-ton “tipping” fees at the Ocean County Landfill, which are avoided through recycling. In 2015, despite the lower prices for scrap materials, Brick saw a 124 percent increase of its reimbursement. Brick will be rewarded with $280,227 from the county, which runs the recycling reimbursement program for each municipality. “It’s by far the most we’ve ever had, including Sandy,” said Mayor John Ducey. Mid-year statistics showed a 78 percent participation rate in Brick’s recycling program, up from about 40 percent prior to the introduction of automated recycling cans. Ducey said it’s not only residents who are recycling more often – the township has promoted recycling to township businesses this year as well as in in the public school district. Brick, in 2015, placed contracts for animal control and animal shelter services out to bid for the first time. Previously, the two services were provided under a single contract with the Jersey Shore Animal Center. The bill for both services combined was $150,048 in 2015, down from a high of $261,728 in 2014, Ducey said, more than some large cities had been paying. Ducey said the township has been satisfied with the animal control services being provided by A-Academy of South Jersey, which has used social media to help locate pet owners in order to avoid bringing them to a shelter, which carries a fee. “He’s returned a number of animals directly to the residents without any cost to the homeowner or the town,” said Ducey. Sheltering is now provided by the Ocean County Health Department, which operates two shelter, one in Jackson and one in Manahawkin.